BRUSH PRAIRIE — It isn’t every day that Sheriff’s Deputy Jason Granneman hands out a citation for kindness. 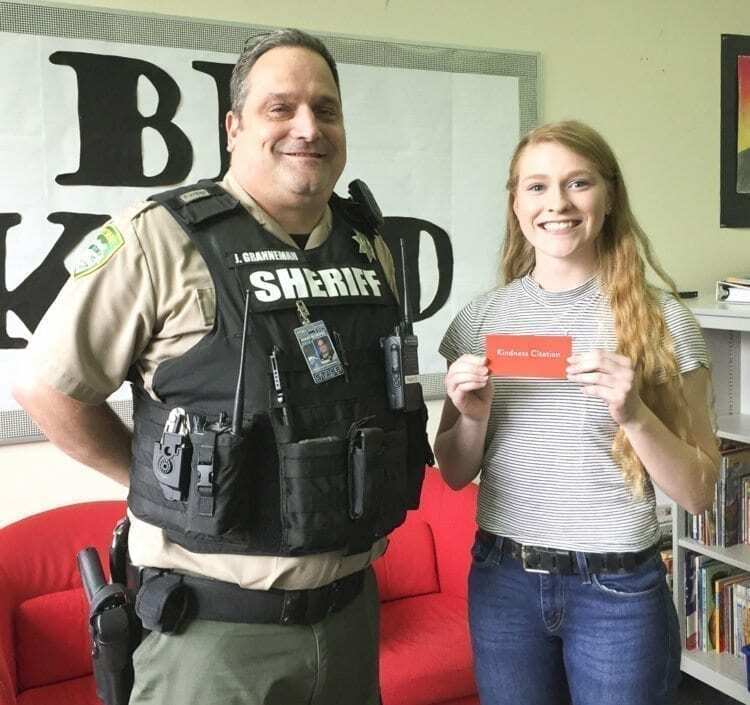 In fact, the one the Hockinson High School resource officer handed out recently was the first to go to a Hockinson High School student. The Sheriff’s Office began handing out Kindness Citations in November to recognize people who are doing things that are truly helpful to the community. The citations are part of Life Vest Inside’s nationwide Inspiring Kindness initiative. 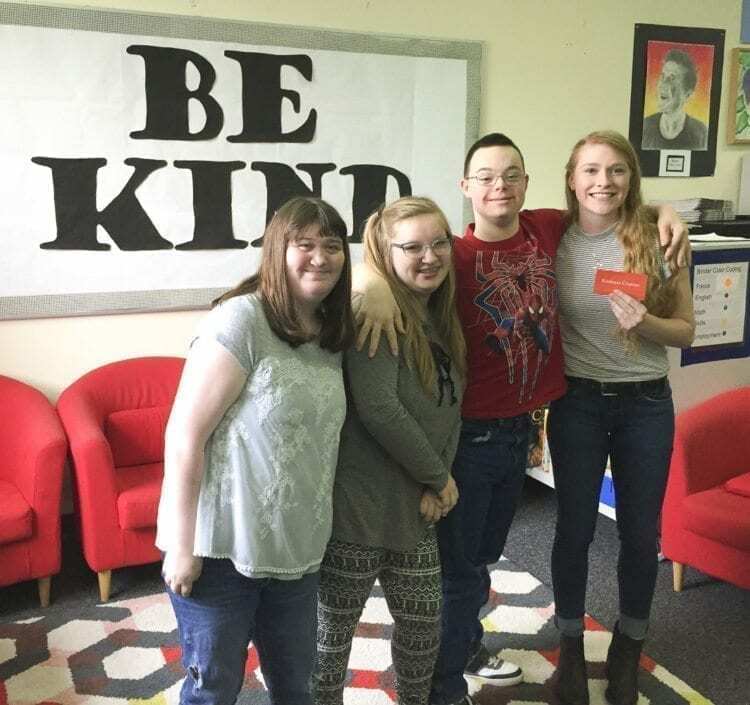 Since September, Alyssa has been working as a peer tutor in the Hockinson High School developmental resource room, helping students with their lessons and getting to know them as friends. Alyssa, whose goal is to become a nurse practitioner or a physician assistant, said she is glad she became a peer tutor, because it helped confirm her career direction. “I definitely want a career helping others,” she said.